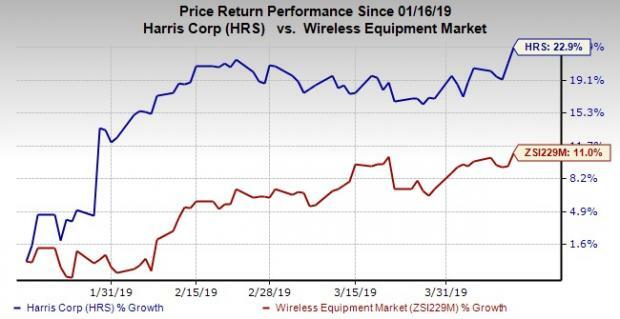 As announced by the company, Harris Corporation HRS appears to be in full swing to commemorate a notable space satellite antenna landmark with the production of its 100th unfurlable mesh reflector. Following the news, Harris’ share price surged 1.59% during the trading hours to eventually close at $167.84 on Apr 12. Currently, Harris has a Zacks Rank #3 (Hold). Better-ranked stocks in the industry are PCTEL, Inc. PCTI, Juniper Networks, Inc. JNPR and ZTE Corp. ZTCOY. While PCTEL sports a Zacks Rank #1 (Strong Buy), Juniper and ZTE carry a Zacks Rank #2 (Buy). You can see the complete list of today’s Zacks #1 Rank stocks here.